I decided to branch out and signed up for a Valentine’s Day Pocket Letter Swap in the Pocket Letter Swaps & Memory Planners Facebook Group. Okay…I clicked the possibly interested button and the next thing I know I was signed and partnered up. He he. I have plenty of Valentine’s Day supplies, so this should be fun. Right? 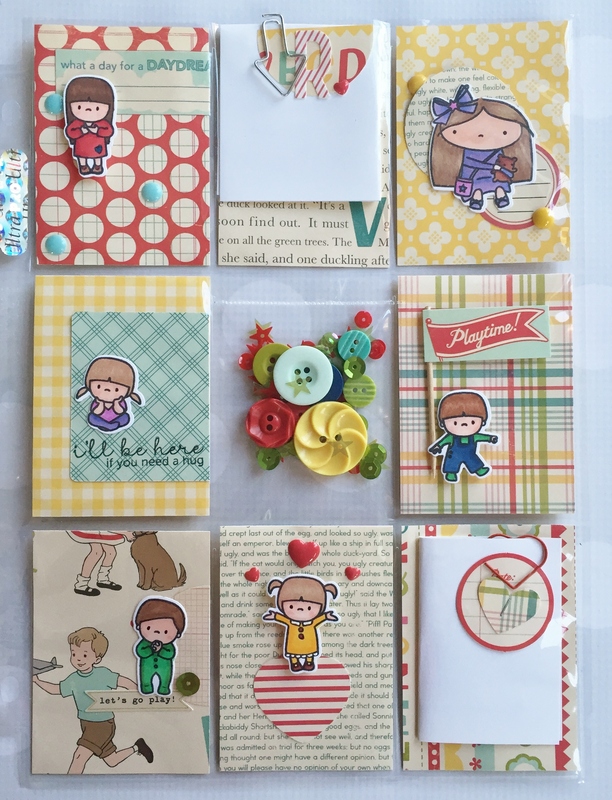 I used Crate Paper’s Fourteen collection for my base, paper layers and chipboard pieces. Last year I purchased Valentine’s Day treat bags and I thought they would be perfect to use here. In fact, I used them to make flair buttons. I used several to add dimension to my Valentine graphics and extras are tucked in as a treat for the receiver. I might have even filled the back pockets with chocolate. Unfortunately my partner didn’t want to be my Valentine, since she never responded to any of my messages…so, I guess I’ll be asking someone else. There is a dishwasher to unload, dirty dishes piled in the sink, five baskets of laundry to fold, one teen girl away on a mission trip and one teen boy sick on the sofa. That makes today the perfect time to share a recent Christmas Pocket Letter I made for my dear friend and swap partner Elizabeth from the GirlyGirlsAttic. Instead of a normal Christmas or Winter themed pocket letter I came up with the crazy idea of creating an Advent pocket letter. Yes, there was a bit of math involved with planning the pockets. But, I’m rather excited at how it turned out. I used mainly Teresa Collins Santa’s List collection with it’s fabulous Santa images, bold prints and fabulous mix of embellishments. Some of the pockets are simple cards while others are scored and folded over. That Santa in the middle was being quite naughty when I tried to make him. I lost count on how many attempts it took to get the final one, but I think he makes a great addition to the Countdown. 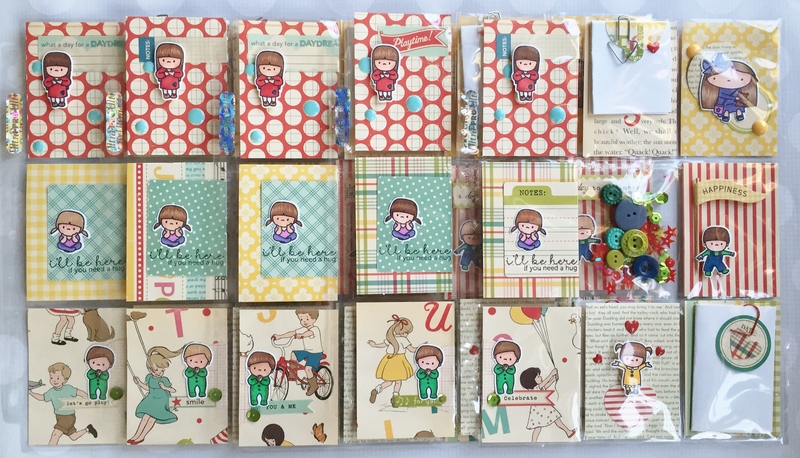 As you can see some of the pockets are filled with chocolates, others with scrapbooking goodies and some with the story of the birth of Jesus. I thought Elizabeth would really appreciate that. It also crossed my mind that she could use this for a simple December Daily afterwards as well. She could easily slip in small photos, Instax pictures or special memories from each day. Of course, she’d have to eat all that candy first! This time around our little group made Halloween and Fall themed Pocket Letters to swap with a partner. I used mainly the My Mind’s Eye Mischievous Collection with a few added elements from a past Noel Mignon kit. My favorite being that cute Boo! ghost tag from We R Memory Keepers. 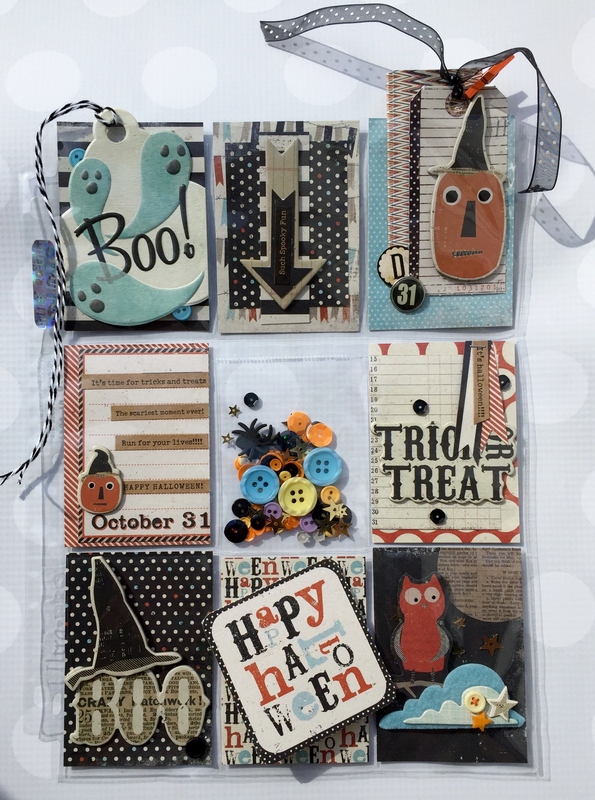 I even tried something new and attached the Happy Halloween tag using an Action Wobble. In an effort to keep all the goodies I’m sending in place, I made gift card sized envelopes to stuff and slide in the pockets. I have to admit that when it came to the Fall Pocket Letter I was a bit stumped at first. Especially since I traded Fall Postcards last year to the exact same partner. So, I went old school and pulled out Bella Blvd’s Finally Fall Collection. Simple yet adorable, I think. And making me long for cool, crisp Fall days. To see more of my Pocket Letters, click here. Actually, I gave several to him. I joined in a Pocket Letter Swap with several of the ladies from our Cricut Circle Good Morning Facebook Group. You don’t know what a Pocket Letter is? 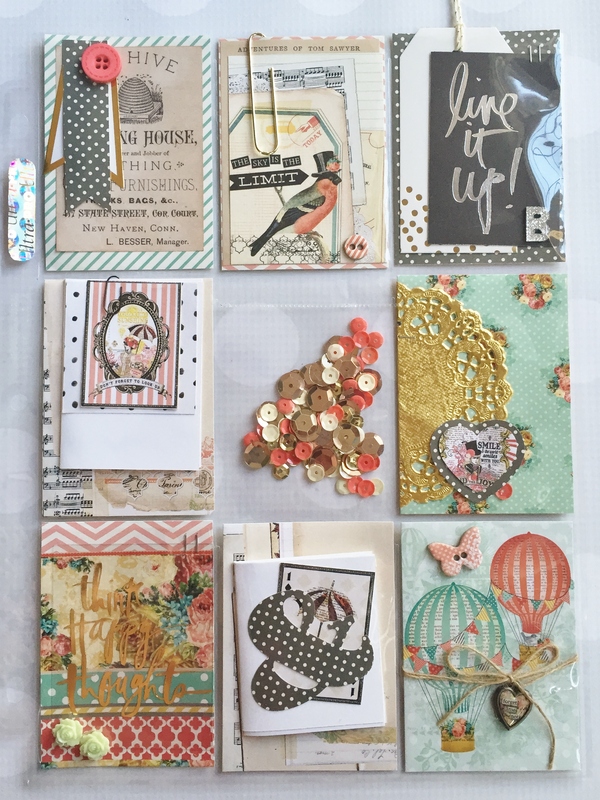 Well, neither did I until I visited this Janette Lane’s blog for a perfect description and joined this fabulous Pocket Letter Inspiration and Inspiration Facebook group. After figuring it all out I jumped right in. My first partner listed My Mind’s Eye as one of her favorite companies, so I added plenty of gold and sparkle to match her personality to the Sky’s The Limit Collection. I included a personal letter and a 5 Things About Me list. Each of my other partners took part in the 30 Day Color Challenge, so I came up with a different pocket letter for them. 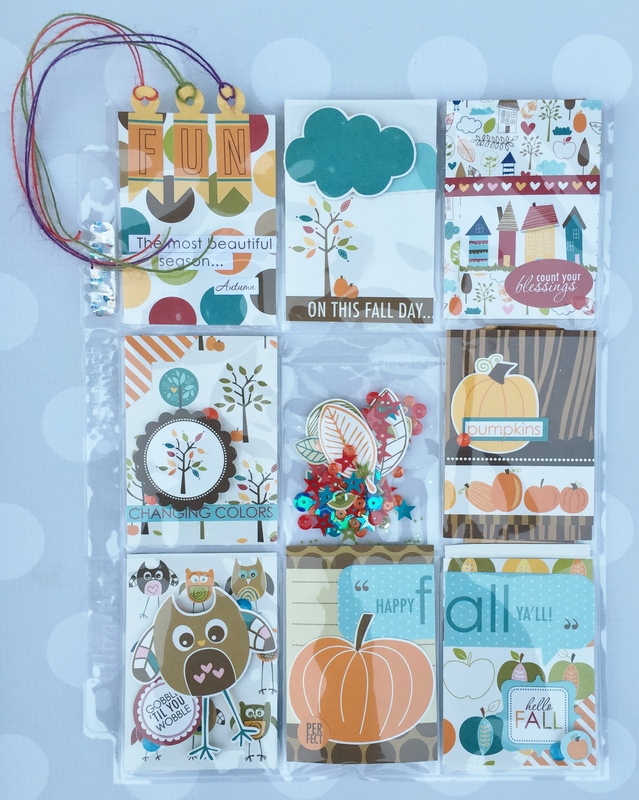 I paired October Afternoon’s Sidewalk collection with the adorable Mama Elephant In My Heart stamps to create a cute little pocket letter full of love and playfulness. I even included a set of stamped and die cut children for each of them to color and use on a project of their own. This was a great way to practice my coloring. He he. 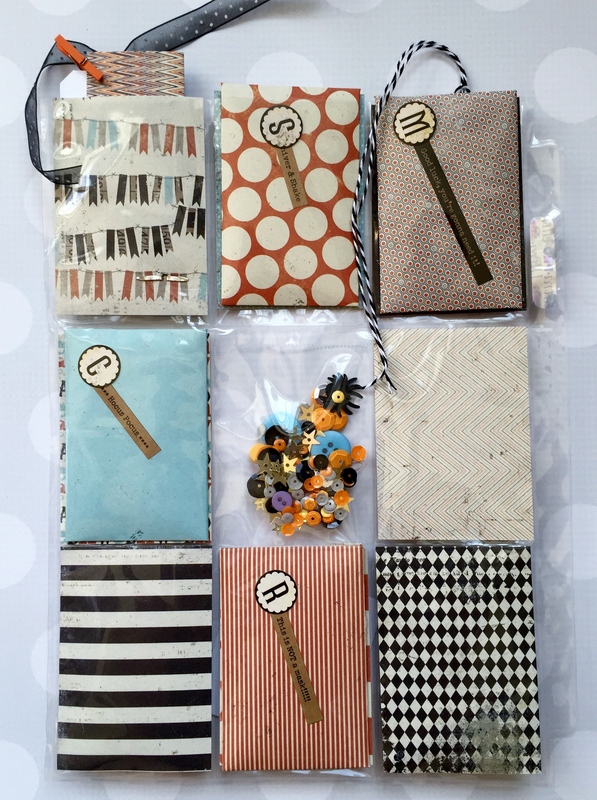 Next up….Halloween Pocket Letters, so I’m trying to decide if I should go cutesy or creepy.